The FI8918W is a wireless or wired, pan/tilt IP camera solution for indoor use. It combines a prime quality digital video camera, remote pan/tilt ability with network connectivity and a strong internet server to bring clear video in your desktop or smartphone from anywhere in your local network or over the Web. The prime quality video image is transmitted with 30fps speed at the LAN/WAN by the use of MJPEG hardware compression technology. The image resultion is 640 x 480 (300k Pixels). 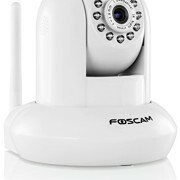 The Foscam FI8918W camera is in line with the TCP/IP standard. 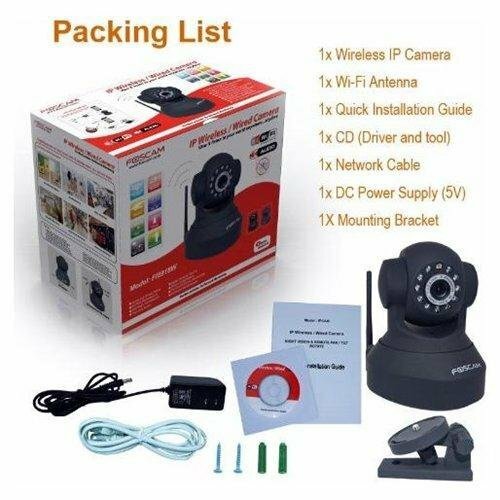 The regulate, management and maintenance of the camera is done simply by the use of your browser to remotely configure and upgrade the firmware. 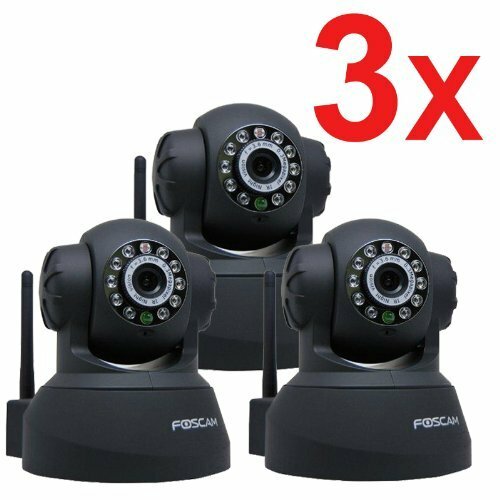 The Foscam FI8918W IP camera can reach as much as 8 meters of visibility in absolute darkness with 11 infrared LED’s. Allows remote Pan/Tilt regulate (Pan: 300°; Tilt: 120°). Freely regulate IR LED ON/OFF. Auto IR-LED illumination for night vision (as much as 8 metres).